Many home surfaces are covered by tile floors, from house entrance to the kitchen floor, the bathroom floors, and the shower. However, tile and grout become dirty from a variety of sources in each area. In the bathroom, caused by mildew moisture in the air, in the kitchen and entryway, it becomes dirty due to the food spilled on its surface and grease. It is essential to learn about quality tile and grout cleaning in Cherry Hill, NJ procedures for durability. • Apply a cleaning solution that can break up the dirt stuck in the grout. • Scrub the floor carefully, paying attention to the grout lines and any other extra spot. • Apply sealer. A good quality sealer is essential after cleaning to protect the floor from future damages and give it a new appearance. Tile and grouts cleaning products have three main categories; it includes Alkaline, Acidic, and PH neutral. They have a high PH value of 12 and above. They are designed to react with dirt and other types of organic grime. An alkaline cleaner is not more harmful to use than other common supplies. It is advisable to wash your hands, eyes and any other part of your body once it splashes on you. It acts by reacting with the cement in the grout to remove the dirt. 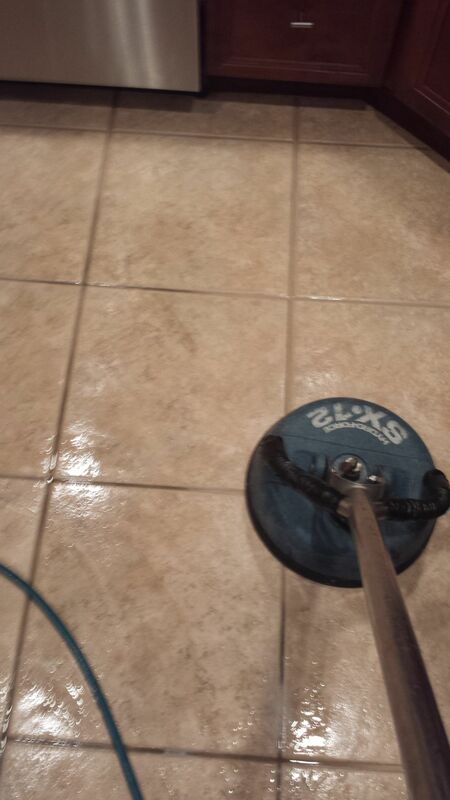 Also, it removes a small layer of grout making it useful in cleaning and whitening white grouts that have stains. They are not as effective for cleaning like other cleaners for dissolving dirt, grease, and other organic grime, but they are fit for daily tile and grout cleaning.